Wednesday 26 August. (Please note change of date). 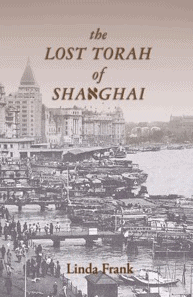 Novelist Linda Frank will share her extensive knowledge of the history of the Baghdadi Jews in Shanghai in this presentation of her second novel set in China. Spiro Ark/Harif. £10. 8pm. Hampstead Garden Suburb synagogue, Norrice Lea, London N2 0RE. Contact Spiro Ark: 0207 7944 655, education@spiroark.org or email info@harif.org (phone 07506033848).